The Lagos State Commissioner for Establishments, Training and Pensions, Dr. Akintola Benson-Oke and the Vice Chancellor of the University of Lagos, UNILAG, Professor Oluwatoyin Ogundipe have described the pension scheme put in place for State civil servants as a good retirement plan that will guarantee a comfortable life after retirement. The duo spoke on Tuesday during a training programme organised by the Lagos State Ministry of Establishments, Training and Pensions at Golf View Hotel & Suites, Ikeja, for senior Directors in the State Public Service. Benson-Oke said that a situation which enables the State government to pay a certain percentage as monthly savings, in addition to pension deductions from all employees, encourages a savings culture. He added that the training was designed to enlighten government officials on the need to prepare ahead of retirement so that they can properly manage their retirement benefits. According to him, civil servants are faced with different hurdles of deciding their post-retirement priorities because of inadequate and delayed preparation. “We have established the fact that the reason why civil servants usually have the challenge of what they can engage in after retirement is that theyhave refused to adequately prepare for the retirement stage. 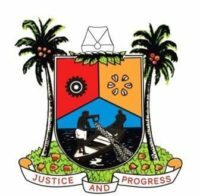 The purpose of this training, therefore, is to familiarise civil servants with the Pension reforms as well as the benefits entailed in the Lagos State Pension Scheme”, he reiterated. While assuring the participants of government’s commitment to effective pension administration, Benson-Oke noted that the Biometric Verification exercise introduced into the Pension scheme has helped in ensuring prompt payment of monthly Pensions to beneficiaries under the scheme. “The online verification exercise has also ensured that prompt electronic transfers of monthly pension payments are made to the right pensioners under the scheme”, he added. Earlier, Vice Chancellor of the University of Lagos, Prof. Ogundipe also applauded the recently introduced Biometric Verification exercise, saying the initiative has quickened the payment of monthly pensions and reduced the margin of error in the process. Speaking on the theme of the workshop, “Planning for Retirement: Pension Reforms in the Lagos State Public Service”, Ogundipe maintained that the online verification exercise has also eased the process of paying benefits to the authentic pensioners. Also, the Permanent Secretary for Establishment, Training and Pensions, Mrs. Rhoda Ayinde urged participants to take advantage of the training by taking focussed steps towards a financially buoyant retirement. “To make the best use of this opportunity, as from today start preparing for the future by cutting down on your expenses and restructuring your spending”, she counselled. While commending the State Government’s efforts, she noted that the government is not only concerned with the productivity of public servants but also their lives in retirement.